converse | DressCodeClothing.com's Official Blog. 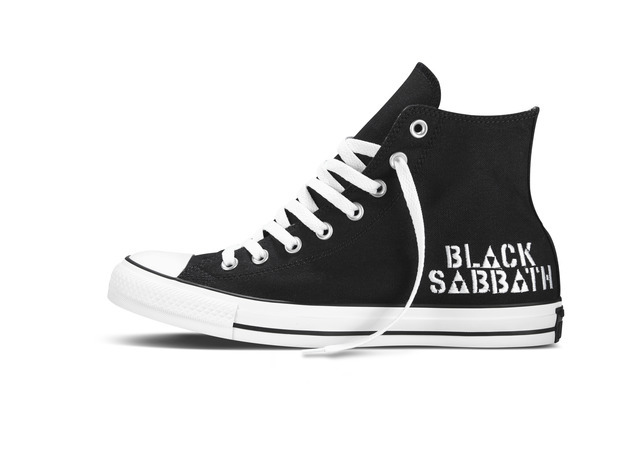 If you’ve been following our blog, you probably read my post on the Black Sabbath Collection from Converse. Well, here’s a video review giving you an in depth look at each shoe. They are selling fast so don’t sleep on these wearable pieces of Rock n Roll history. As you probably already know, we like to keep it fresh here at Dress Code, and you might also still be trying to decide on a new pair of shoes for the summer. So, we threw together a line-up of some shoes for both men and women to get you guys right for the summertime. First up for the ladies, we have the all new Converse Chuck Taylor Gladiator thong sandals. The Gladiator uses the Converse Chuck Taylor’s classic canvas material to make up the “upper”. Along the ankle are silver rivet studs to match the silver lace eyelets. Perfect for the avid pool partier, and beach-goers. We have been seeing a lot of companies coming out with their rendition of the new “wedge sneakers” for women. Although, I think Vans is doing it best right now, using their classic Sk8-Hi silhouette to bring this “hybrid sneaker” to fruition. Using a textured red, black-spotted canvas as the upper, they have a nice little “fur” look to them, complimented with silver eyelets and waxed red laces. Keeping the Wedges rolling, we have the popular Puma Sky Wedge in their new “Reptile” colorway. Black nylon tongue, leather ankle straps, with a suede-like material as the upper. Puma then finished off the shoe with a black “croc print” pattern wrapping the entire upper of the Sky Wedge. This first pair is a perfect summer silhouette. Show your patriotism all summer long with the Converse All Star Riff Low. This shoe’s upper uses an american flag pattern on the classic Chuck Taylor Canvas material with a cream toe-box/tongue. Cut lower than the original CT All Star Lows, the Riff only has two lace eyelets, giving you more of a summer boat shoe look on top of a thin cut vulcanized sole with a comfy foam in-sole. I think the combination of navy piping over the eyelets and tongue, with the cream laces really brings the shoe together. Keeping the color rolling for the summer, we have the very unique Vans Old Skool. It features a multitude of colors, patterns, and materials throughout the shoe. The toe-box, tongue, heel cup, and eye-stays all feature a faded Olive/Grey canvas giving the shoe somewhat of a vintage look. A multi-color Navajo pattern makes up the upper and the sock liner is made up of a premium “peanut butter” colored leather. The brass eyelets and “work boot” laces keep true to the vintage aesthetic of the shoe. The matching “peanut butter” stripe around the out-sole is the perfect finishing touch. For the Flashier fellas we’ve got the Puma Future Disc Lite. This wacky running model is one of my personal favorites from Puma right now. 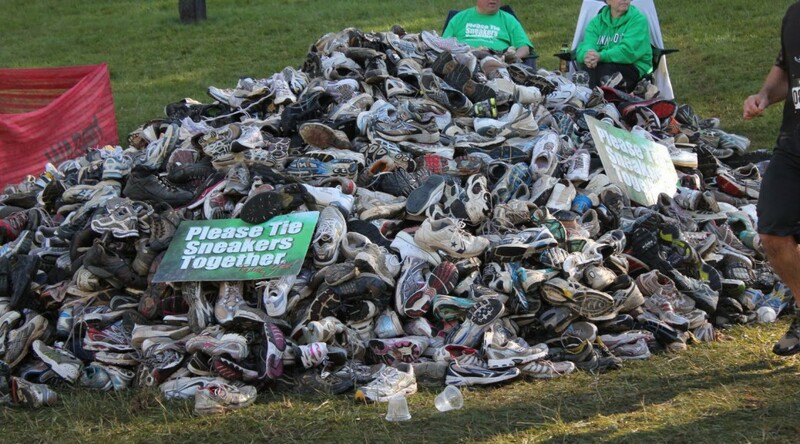 Forget your shoe laces. Disc Technology is the future. Small wires connect from the spool to the sides of the rubber “eyestays”. The teal mesh upper is topped with that black and speckled purple rubber “frame” wrapping from the outside arch around the heel to the inside arch for added support. Accent the tongue-pull in purple, with a matching patent leather toe cap, and you’ve got some serious neck-breakers for the summer. This here will be a quick size guide or an insider on Converse’s shoe sizing. 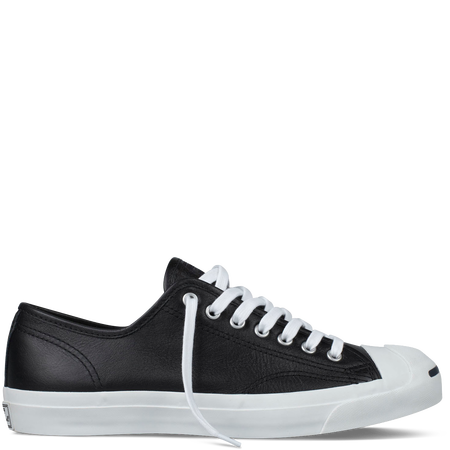 I will be touching on all three of their lines, Chuck Taylor’s, CONS, and Jack Purcell. I’m first going to breakdown sizing of the Chuck Taylor. 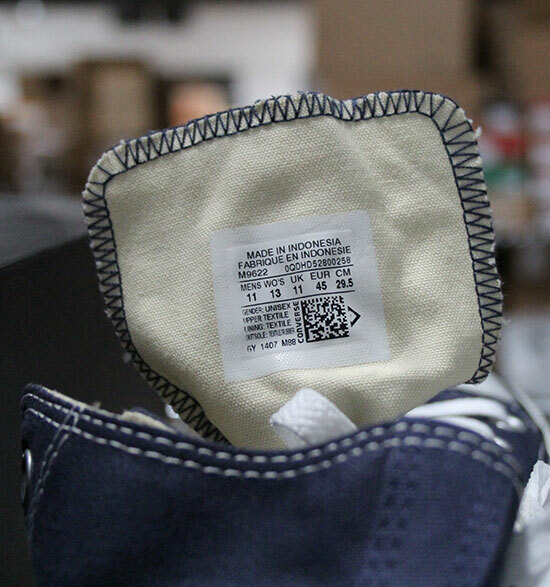 Converse notes that all of their CT All-Stars are unisex sizing, meaning whatever the size is, they will give you the men’s and women’s size for that specific pair. 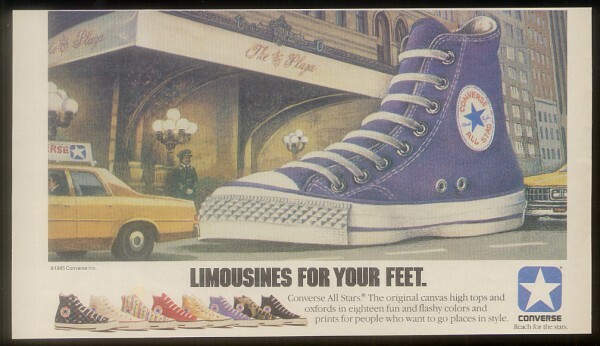 The official Converse site states they run a half-size larger than your normal shoe. They claim if you are a men’s size 11, you would be a Converse size 10.5. While this seems obvious at first glance, I have discovered exceptions in a number of different sizes offered. For example I’m a men’s size 11 through and through no matter the brand / style shoe. However, for Chucks I don’t wear the recommended 10.5, but a whole size smaller. I actually prefer a size 10 over 10.5 when buying a new pair. I “interviewed” my Dress Code Family to see what their personal experiences have been with the shoe, and it seems that roughly half go down the recommended half-size, while the rest of us go a whole size down. 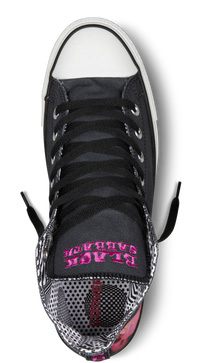 I also noticed that the people going a whole size down in Chuck Taylor’s are also people that wear larger sizes. Comparing the Jack Purcell to the Chuck Taylor, you would think the only difference between the two is the slightly different toe cap on the JP’s, right? 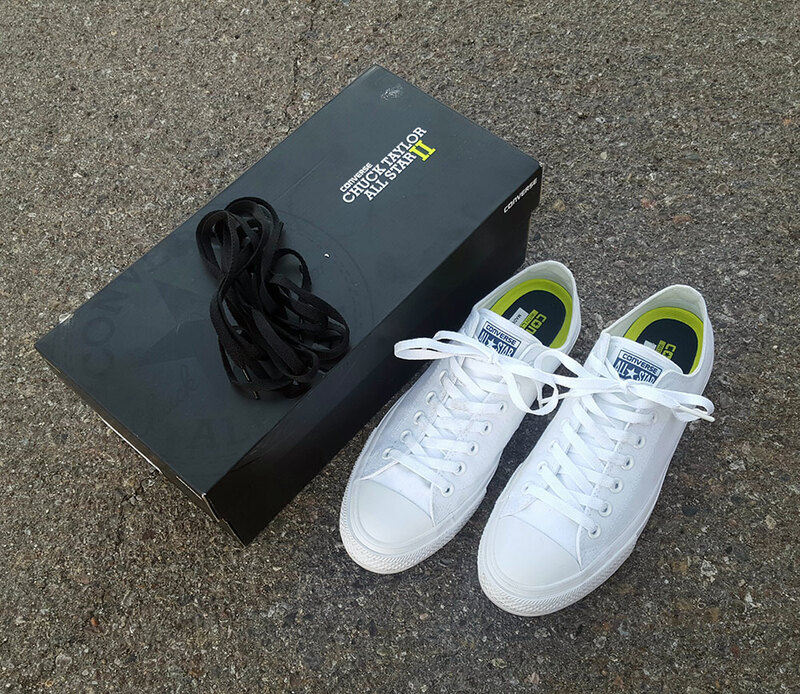 In actuality, Converse states that the Jack Purcell model runs true to size in all models, so you won’t have to worry if you are looking to pick these up instead of some Chucks. The CONS line is where things get tricky. 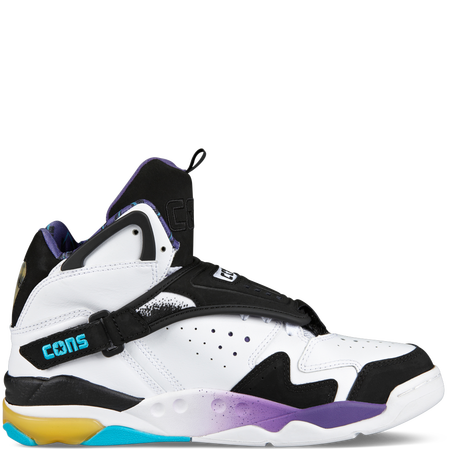 CONS is the lifestyle/skate line within the company, offering a wide variety of silhouettes and styles. For the skate collection, everything runs true to your normal shoe size, but with the lifestyle models such as the CTA Pro or Star Player Mid, you are recommended to go a half-size down. What’s frustrating is the lifestyle line is “assorted” in terms of sizing. Some run a half-size down and some are true to size. Anyone looking to get a pair of Converse Brand Shoes, is urged to try them on before purchasing. 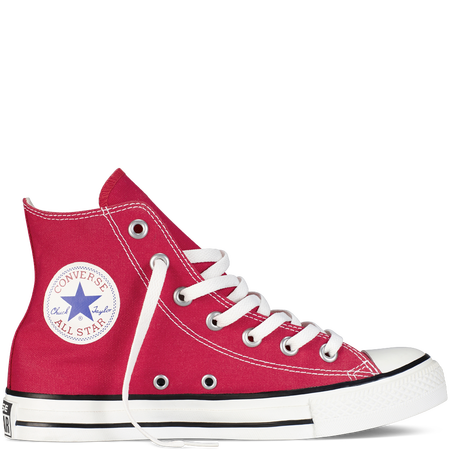 If you know what size you normally wear and are interested in a pair of Chuck Taylor’s, try both the whole and half size down to see what size YOU like better. For any CONS models you may be unsure about, try them on. Unable to try on a pair at the store? No worries! Just refer to the Converse Official Site’s unisex size guide. 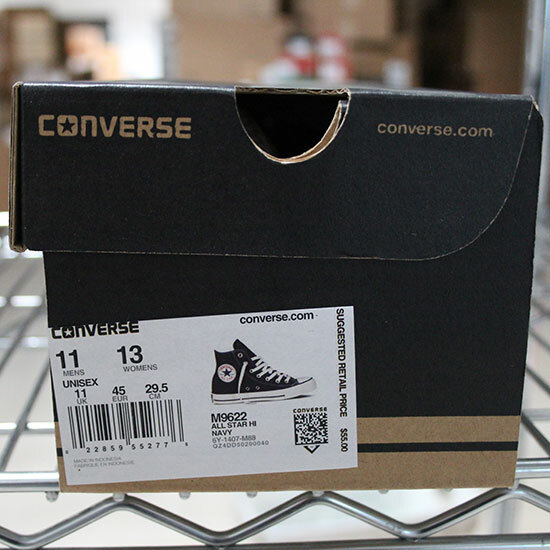 An easy way to check the converse’s recommended shoe guide do the following. 2. In the search box type the SKU / Style number of the shoe that you are interested in. Black Sabbath is arguably the best Metal Band in history, known as the pioneers of Metal after their induction into the Rock n’ Roll Hall of Fame. And with the band still going strong on tour for their latest studio Album, 13, it only made sense to team back up with Converse for the release of their second capsule collection of sneakers. 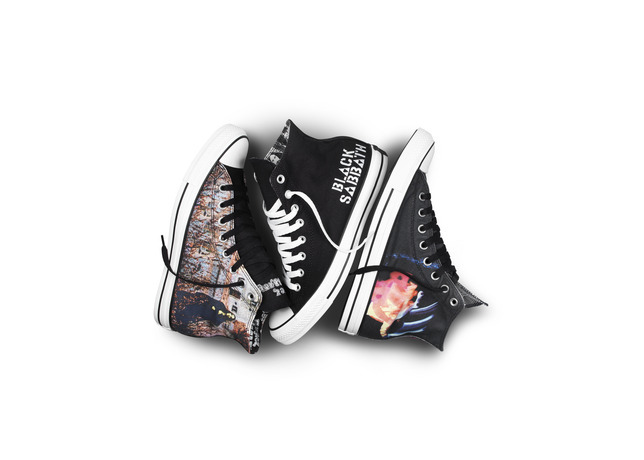 The collection is made up of five unique sneakers, three of which are offered in the classic Chuck Taylor All-Star Hi silhouette. The inspiration behind the collection is genius in my opinion. 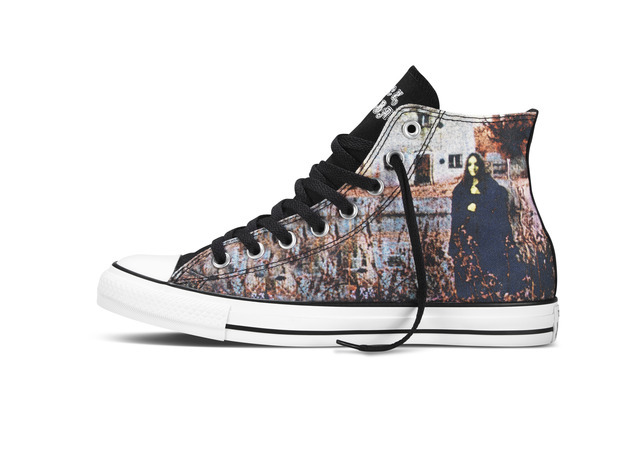 Commemorating their recent reunion for their newest album, 13, as well as the return of their crazy lead singer and living legend, Ozzy Osbourne, Converse uses their forever iconic artwork from their albums being used on the shoes. The die-hard Metal Heads out there might even consider this pack an “archive collection”. First up, we’ve got their Debut Album that paved the way for their legacy featured on a black CT Hi. 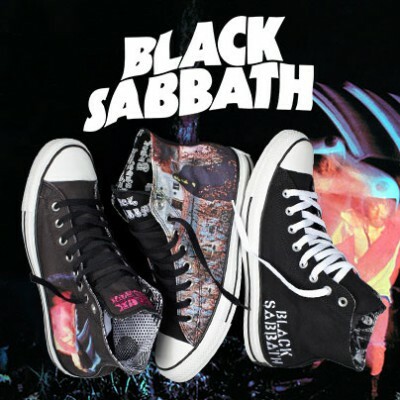 The entire upper uses the cover art accompanied by “Black Sabbath” embroidered in white complimenting the tongue, with the same black and white Sabbath logo making up the canvas sock-liner of the shoe. For those of you that want to buy a pair from this collection, but enjoy simple shoe colorways, The Never Say Die CT Hi is the pair for you. Classic black upper with the “Black Sabbath” logo from the cover art embroidered again in white, but this time a bit larger across the heel. A collage of black and white photos of the band members is used as the sock-liner. Featured on a black CT Hi is the “Paranoid” Album art on the upper of the shoe. Also running parallel down the heel tab it is embroidered in purple. Keeping relevant to the designs and cover art, “Black Sabbath” also is on the tongue of these in that same purple stitching. Be sure to compliment your pair with a Sabbath Band Tee when you finally decide on which pair fits your style.